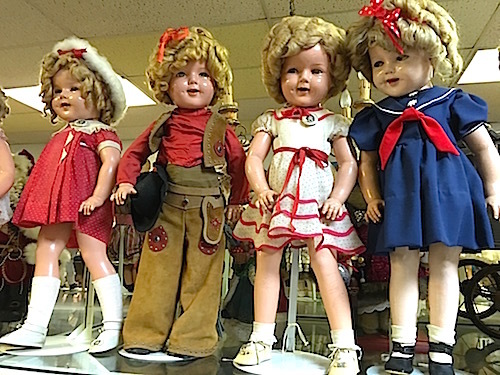 Mike Bakarich was happy when his wife Carolyn opened her Yesterday’s Children Antique Doll and Toy Museum in 1986. After a year, Carolyn moved her museum to a historic 1849 building in downtown Vicksburg, Mississippi, where it is still located. But Mike is now the person who welcomes visitors to the huge toy collection. His wife died in 2014. 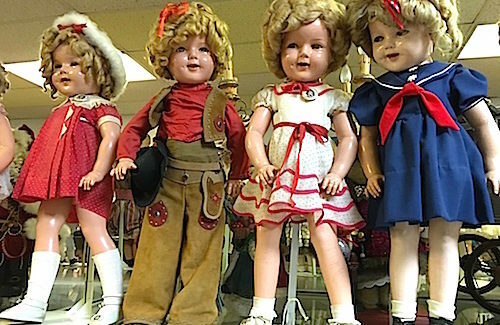 The four-room museum includes more than 1,000 dolls dating back to 1843, plus pedal cars, rocking horses, doll carriages, teddy bears and much more. Born in Chicago on May 6, 1928, Mike grew up in Arizona near the Mexican border. Although he is “not much of a collector,” there was one childhood toy he really yearned to own. Instead, Mike joined the Army and advanced through the ranks until he retired in 1980 as a Brigadier General. The way he met his future wife was just a chance encounter, Mike says. The couple had seven children and adopted four others from Korea. When Mike retired from the Army, the family moved to Michigan where Mike worked for Bechtel nuclear power company. They moved to Vicksburg in 1984 when he took a job at the Grand Gulf Nuclear Station. The number of visitors to the museum varies with the seasons. “We can always tell when one of the riverboats is docked here because we get a lot of those passengers in the museum,” Mike says. That’s why I was there. When the American Duchess docked in Vicksburg, I caught the hop-on, hop-off Steamcoach to visit a couple of museums, walk through downtown and admire the flood wall. Cruise passengers receive free admission to the museums. 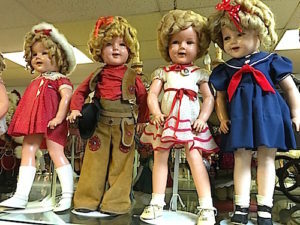 Shirley Temple dolls date from 1934-1938. Why do cruise ships have Godmothers anyway? Why do cruise ships have Godmothers anyway? | Crown Cruise …Google Alerts – Cruise Vacation | Sean Sullivan's Worldwide-Travel-Services.com on Why do cruise ships have Godmothers anyway?